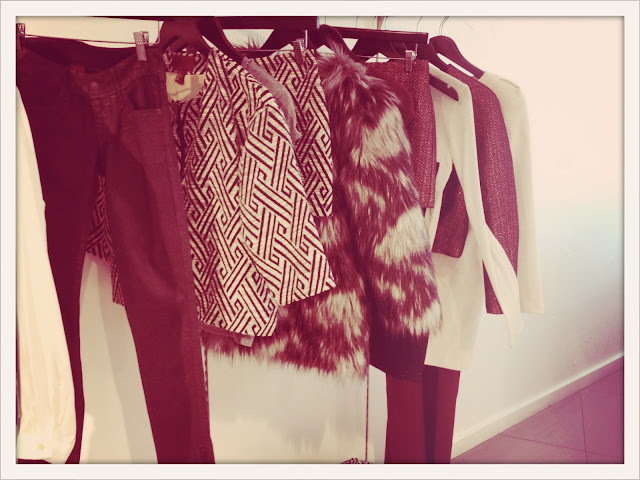 I went to H&M's LA showroom yesterday to get a closer look at the upcoming Fall 2012 collection, and simply looking at the racks elicited a Pavlovian drool response. There were gem-studded sweaters, chunky chokers, faux fur jackets, and the most amazing cropped, butter-soft leather leggings, two of which I nabbed in oxblood and black. The leggings are perfectly stretchy and, therefore, super pliable. They will be in stores sometime next week, and put it this way: if I didn't already have them, I would stalk the store everyday till they came in, they are that good. Also on my wishlist of things that are imminently shoppable are below, with captions telling you when exactly they will be in stores. Good luck getting them! 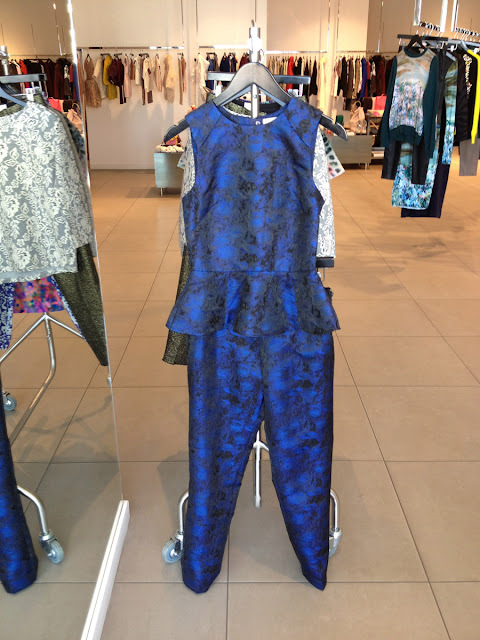 This striking cobalt blue peplum blouse and coordinating pant will be in stores the week of July 30. I love them together and separately. This gem-studded sweater, which encapsuates Fall's big embellishment trend, will hit H&M's racks during the week of August 13. Here's a more subtle take on the embellishment trend. 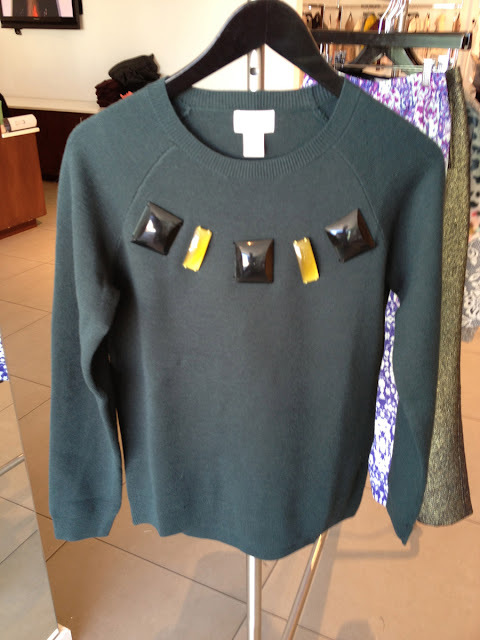 It's very Marni-esque-meets-fashion insider's new favorite Vika Gazinskaya. This sweater will debut during the last week of September. LOVE LOVE! That peplum print is insane. Thanks for the inside scoop, I can always rely on you for the best insights! Love! Can we see a pic of you in leather leggings? Dying to see them. Will be calling the Chicago store daily. 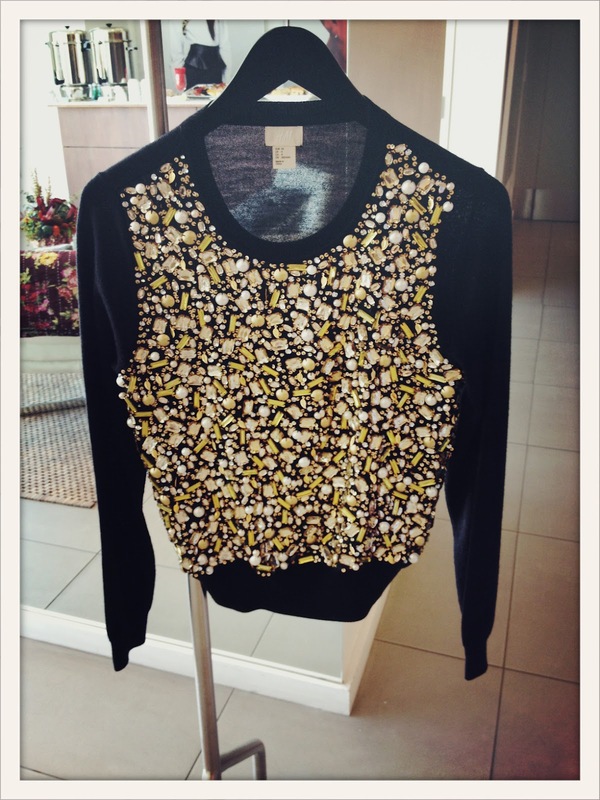 Looking at this blog post makes me soooo glad that they are opening an H&M near me soon!! I can not wait to get home everyday and check your blog! I honestly have bought 70 percent of what you have you have given your approval on and I get complements on everything all the time. Your blog is so much fun! I am going to New York tomorrow for a wedding and I have a Le Catch outfit for each event! Love love love the diamonds sweater. Very Vika Gazinskaya!! The leather leggings are great Marlien! Can you possibly provide the item number so we can call H&M?? Their locate items are so weird and having the number would really help! Thank you for turning us on to the leather leggings-- I'm going to stalk my local H&M every day this week. Do you have any idea what they might be priced at? Thank you!